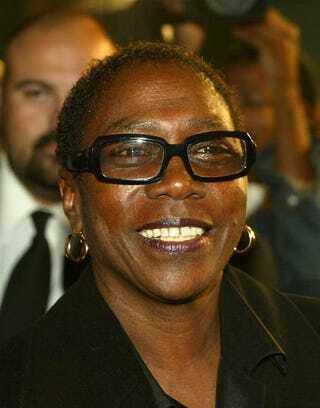 Tupac Shakur’s mother, Afeni Shakur, has died at the age of 69. According to the New York Daily News, Afeni Shakur died Monday in Sausalito, Calif., after being rushed to the hospital for possible cardiac arrest. In her early days, Afeni Shakur was active in the Black Panther movement and gave birth to the future rap legend just one year after being acquitted in a bombing conspiracy. After Tupac Shakur’s death in 1996, she took over his estate and vowed to keep his legacy alive. A year later, Afeni Shakur founded the Tupac Amaru Shakur Foundation, which oversaw his unreleased work and champions youth arts programs. Most recently, Shakur was serving as an executive producer for the upcoming Tupac biopic All Eyez on Me, with Danai Gurira cast to portray her.